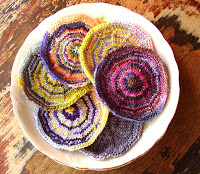 Yarn and Fiber Happenings: Calling All Sock Knitters!!!! New Sock Yarn In and Ready to be Knit! Calling All Sock Knitters!!!! New Sock Yarn In and Ready to be Knit! It must be Fall because we are seeing more and more of our UPS guy! Just in the last several days we have received our Mountain Colors, Madeline Tosh Sock Yarn and more of our Interlacement Yarns order! 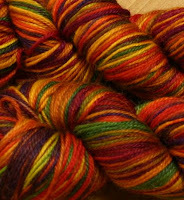 Plus, Dream in Color called yesterday and they are shipping the sock portion of our order on Monday! YEAH!!!!! 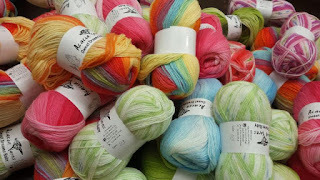 We are just full of new colors, new yarns, new lines, and more and more fun!!!!!! Oh, and if you need to make one, the VK 25th Anniversary Prism Galaxy Silver Ribbon Shawl/Scarf, we have the ribbon in stock in the specially dyed VK Silver from Prism Yarns - it is going quick, but we will order more when this batch is gone! It is really beautiful! Gina is joining us in early September - YEAH GINA - and will be in on Friday evenings (yes, that means that shop is now open on Friday nights! - YEAH GINA - and she will also be hosting a Yarn and Fiber Knitting Club on Friday nights from 6 - 9 - YEAH GINA - (oops, I think I said that!) and she will also join Nancy and Hannah on Saturdays at the shop! Woohoo! Can you tell we are thrilled! Well, I am off to classroom table in the shop to prep for Fridays Belong to Lace - I am only on row 100 of my mystery stole and I think that today may be a good day to try to get to row 120 and then maybe get another 10 rows of the Figure 8 Stole done. Well, it is a goal at least! (I'll probably make a few more flowers for the scarf and then work on the Limari sleeve!) But it is all progress and the more progress on the existing projects allows more new projects to be started!